UPDATE: This feature is available now. 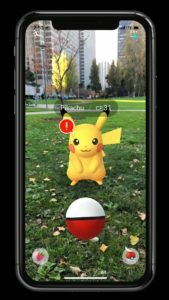 If you’re a Pokémon Go player who owns an iPhone 6 (or newer model), then Niantic has some big news for you! 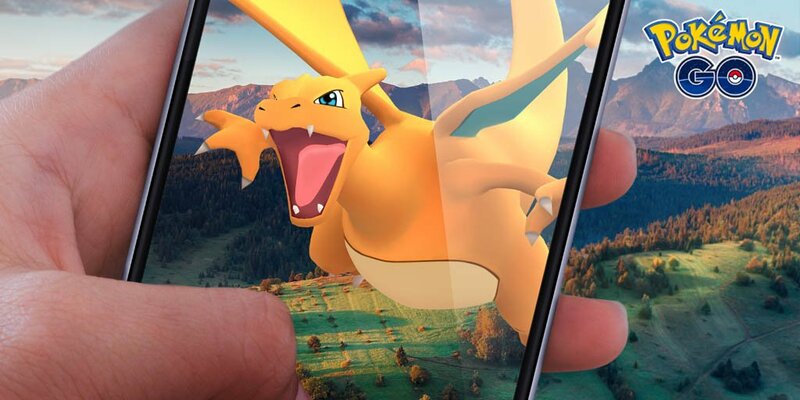 Starting “soon” a more realistic way of seeing and capturing Pokémon is coming your way, thanks to Apple’s ARKit. As defined by TechTarget.com, ARKit is Apple’s augmented reality platform for iOS devices which allows developers to build high-detailed AR experiences. With this new update, comes 3 major changes. 1. The SCALE of Pokémon will be more realistic to what they would look like if they existed in the real world. Now, if you walk closer to a monster, he/she will appear bigger. 2. AWARENESS will now be a factor when it comes to catching a Pokémon. Much like a real animal in the wild, Pokémon will be conscious of when you get close. If you get too close, an awareness meter will fill up, causing the Pokémon to run away. Your only chance at that point for capture is to tap the nearby grass area and hope the Pokémon will reappear. 3. If you dare defy the awareness factor and sneak up-close to a Pokémon anyway, you’ll have the chance to earn an EXPERT HANDLER BONUS with a successful capture. This reward includes extra XP and Stardust. 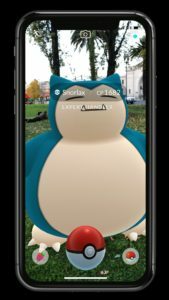 Niantic hasn’t divulged anymore details on this new feature as of yet. It’ll be interesting to see how well the AR+ will work and how warmly it’s received by players once it’s rolled out. Let us know your thoughts on this new feature. Excited? Not? Why? If you’d like to see the original announcement from Niantic, click here.